The 2008 presidential election was a game changer for obvious reasons: a female presidential candidate, an African-American candidate and a female VP candidate plucked from obscurity. Small wonder that co-authors and long-time political reporters Heilemann and Halperin decided to examine the day to day events of a campaign that seemed to make history every other week. Although political junkies no doubt devoured this book when it was first published in 2010, I suspect many more will now be drawn to it because of the recent HBO movie starring Julianne Moore. 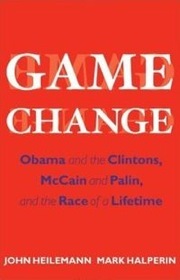 Those who watched the HBO movie version of Game Change may assume that the book focuses exclusively on Sarah Palin. However Palin doesn’t even appear in the book until page 363. Indeed nearly three quarters of the book examines the players slugging it out in the democratic primaries: Obama, Clinton and Edwards. Of course, McCain’s team caused their own media explosion when they chose Palin as his running mate. The circumstances of how and why they chose her are disheartening, but they needed someone to grab the spotlight away from the newly chosen Democratic candidate. That she did, however it came at a cost. Startling behind the scenes drama and rivalries are brought to light in Game Change. A lot of this is juicy stuff, especially the chapters dealing with John and Elizabeth Edwards. But Game Change is far more than a recitation of tabloid gossip. Heilemann and Halperin conducted more than three hundred interviews with over two hundred people involved in the campaign. And since they interviewed people so soon after the election, the details were still fresh in everyone’s mind. Accuracy was of paramount importance. The authors reconstructed dialogue by either hearing it from the individual who spoke, or by someone who witnessed it. And few books give a better picture of how punishing and exhausting a presidential campaign is. One marvels that anyone would willingly put either themselves or their families through it. No matter what your political persuasion, most readers will feel admiration for Hillary’s toughness and determination. One also feels sorry for both McCain and Palin; McCain for being years too late for another presidential run, and Palin for being completely unprepared - and unsuited - for the position she was put in. And I was especially struck by how much kindness McCain expressed towards Palin, even when both his team and Palin herself were letting him down. As for Obama, he comes across as intelligent, disciplined and, yes, presidential. A pivotal moment occurs during the bank bailout discussions when McCain and Obama meet with President Bush and his financial advisors. Without question, Obama is the most informed and thoughtful politician in the room. “Even one of Obama’s harshest critics was now writing off McCain. None other than Hillary Clinton was finally convinced that there was no stopping Barack. In the midst of the financial crisis, she said to a friend, “God wants him to win.” And by the conclusion of the book, it will be hard not to believe that the best man – and the best candidate – won. Given the title of this memoir and the fact that Gilbert is a successful event planner in New York City, most readers might assume that much of her story concerns the spectacle and stress of planning weddings, showers and over the top parties. 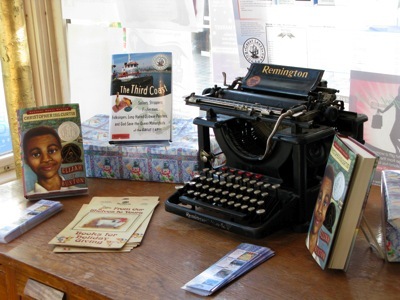 However, I Never Promised You A Goodie Bag is actually an inspirational tale of survival. And while Jennifer Gilbert does describe how she founded her event planning business Save The Date, the heart of her story is how she emerged from the trauma of a brutal attack in 1991 when she was only 22. Her first job after the attack is working for a small wedding planning company where she discovers that helping to make a bride’s day perfect also was a coping mechanism for her. As Gilbert writes, “if I could hold this event together, then I could hold myself together, at least for another day.” A typical Type A personality, Gilbert diligently devotes all of her efforts into “celebrating other people’s amazing life experiences” while not having many of her own. And in her business at least, she finds considerable success and satisfaction. Much of the second half of the book relates how Gilbert often sabotaged herself, physically and emotionally. For example, Gilbert is so determined to regain control of her life after the randomness of such an attack that she developed an eating disorder. She does find happiness in her personal life when she finally finds a man she loves enough to plan her own wedding for. But for Gilbert the road to love - and motherhood - is not easy. Luckily Gilbert is as resilient as she is likable, and the reader can’t help but be genuinely relieved at her happy situation at the end of the book. As for the memoir’s title, Gilbert explains “To me, goodie bags have become a metaphor for life. It’s fine to hope for a happy ending to any given situation but it’s when we expect a really specific outcome that we can get into trouble.” Keeping that sentiment in mind, readers who expect this book to be just a litany of stories about bridezillas will be disappointed. 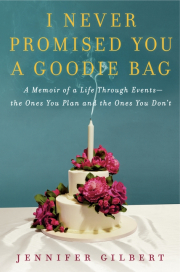 But if you’re looking for an honest and engrossing tale of trauma, survival and success, then I Never Promised You A Goodie Bag is the perfect book to pick up this summer. Written by Amy Timberlake (her first picture book) and illustrated by Adam Rex, this adorable picture book has been riding tough since 2003. 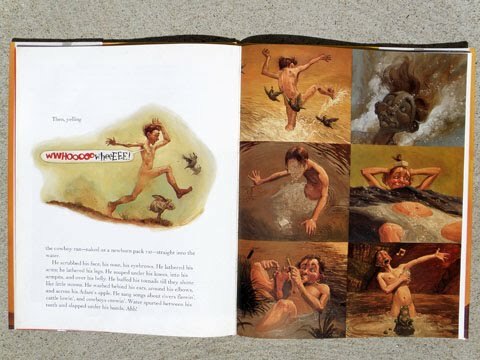 Booklist gave the illustrations high praise, Publisher’s Weekly called it an “outstanding debut” and the book received several awards including a Parents’ Choice Gold Medal, a Bulletin Blue Ribbon and an International Reading Association Notable Book award in 2004. Plenty of starred reviews also drifted in. Only lately has a controversy come up. 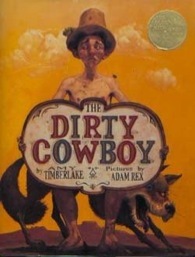 It seems Annville-Cleona’s School Board of Annville, Pennsylvania, decided to ban The Dirty Cowboy from its libraries. Say WHAT? A book with that many awards? That came out how many years ago? Now, given all the stuff anyone from 1 to 101 can see on TV nowadays, you might ask, “What’s the big deal?” And for Trigger’s sake, the illustrations cleverly hide the cowboy’s “nekkidness” to a hilarious degree. Even Norman Rockwell showed more than a glimpse of a kid’s bare bottom at the doctor’s office in one of his famous paintings. The National Coalition Against Censorship has written a letter suggesting the School Board rescind its decision. So what’s this banned book about? A western cowboy decides it’s time for his annual bath. He’s been busy riding the range, and has discovered 32 fleas and a tumbleweed in his chaps that make him mighty uncomfortable. He moseys along the trail on his horse, followed by his trusty dog, to the nearest river (with a map that’s bound to give kids the idea to make their own versions!) and peels off his “duds.” Then, ready for his swim, he jumps in. After the wonderful bath, the clean and soap-smelling cowboy IS NOT the same man. His trusty dog sure doesn’t recognize him. 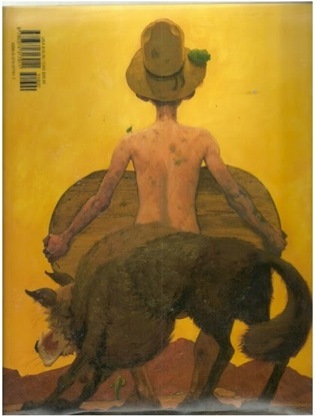 And therein lies the problem – the cowboy and the dog match wits over those “duds” and … well, you’ll just have to read this wonderful book to find out what happens at the end. All in all, there are NO offensive illustrations! Maybe the banning brought that Dirty Cowboy back into the limelight. Here’s hoping sales jump like the proverbial Mexican bean instead of moseying into obscurity. While hundreds of books have been written for children about going to the beach, most of them take place under sunny skies. In Bats at the Beach however, the fun begins after dark and the creatures come to frolic and enjoy the sand and water are bats. No doubt more than a few children have wondered what happens along the shore once mom and dad have packed up the sand pails and beach umbrellas, and the sun goes down. They don’t have to wonder any longer as award-winning author and illustrator Brian Lies has written a delightful account of nocturnal visitors who love the beach as much as any child. Lies allows his bats to engage in many of the same activities at the beach as any child would, but with a few humorous twists. Children will especially enjoy the idea of moon tan lotion and eating bugmallows instead of marshmallows. And don’t forget those ‘salted skeeters’. Lies’ bold illustrations wonderfully convey all the nighttime fun, which includes bat kites and a bat campfire – all in suitably dark colors. 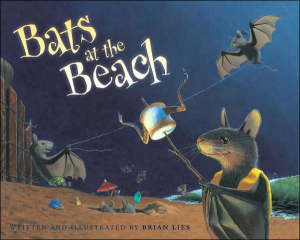 Told in a clever rhyming text, Bats at the Beach is an imaginative and amusing adventure that your child will love to hear read again and again. And don’t forget about the other two books in Brian Lies’ ‘Bat’ series: Bats at the Library and Bats at the Ballgame. This 2012 Caldecott Honor picture book tells the story of a young girl called Jane who has as her companion a stuffed chimpanzee named Jubilee. Together they go outside and spend each day watching the animals and insects in the backyard. Along with observing nature right outside her front door, young Jane reads and learns all she can about the natural world because one day she wants a “life living with and helping all animals”. Not until the final pages of the book however do we learn that young Jane is, in fact, Jane Goodall, who will grow up to do just that. 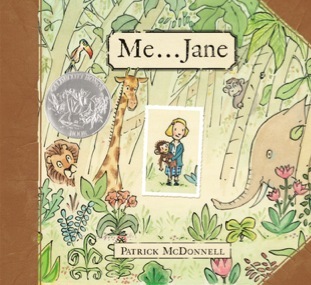 Written and illustrated by award-winning children’s author and cartoonist, Patrick McDonnell, Me…Jane is a wonderful and inspiring book to read aloud to young children. Obviously they won’t know who Jane Goodall really is, but the story is the perfect opportunity to tell them about the important work she has done for animals – and how it all started with the dreams she had as a child in her own backyard.